A steampunk novella set in the alternative historical Lockport Illinois in 1895. The Chrono-Keepers are a branch of law enforcement that patrols the timeline for the moment breakthoughs occur int he study of time travel. 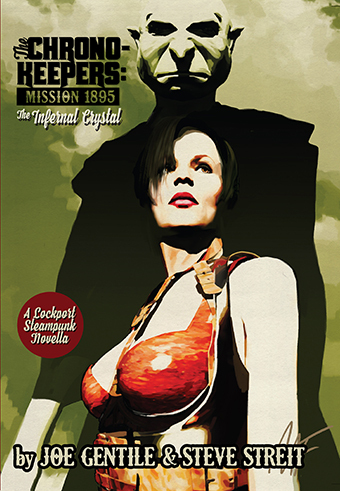 Lorna is set through time to Lockport 1895 to investigate a time disturbance. The town used to be a very wealthy town of industry and fair play. Over time, it has been transformed into a seedy den of iniquity where trust is a lost art, corruption is the rule of thumb, and the social divide cannot be crossed. Lorna gets caught up in much more than she bargained for, as the festering evil rears its ugly head.